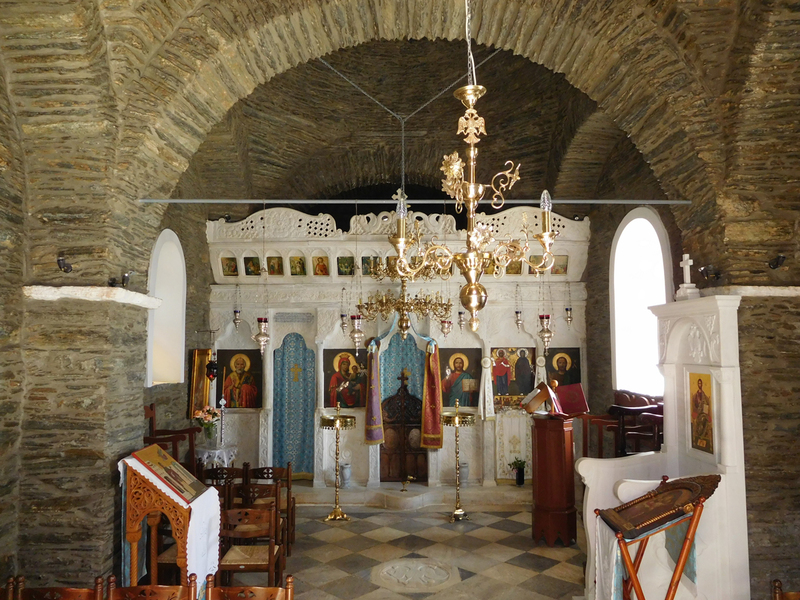 The Holy Monastery of Saint Irene was founded in 1780 in the area of Archonta of the Apoikia village, by two brothers monks originating from Apoikia with the surname Spyridos. During the period of its acne, it operated as a female monastery. 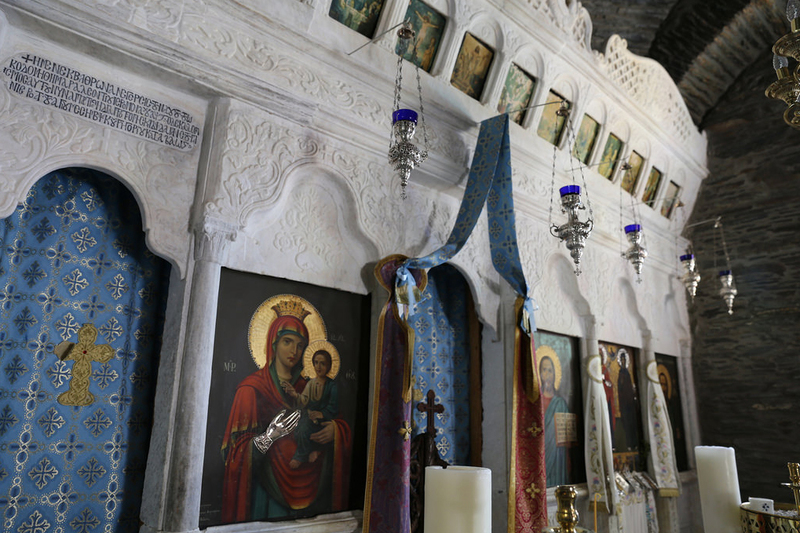 However, the monastery dissolves in 1833, with the decree of the Ottoman regency, which required the dissolution of Orthodox monasteries with a limited fraternity, about a thousand across Greece, and appropriation of their property. Over the years, the spaces around the temple have collapsed, but the temple has suffered the same damage. 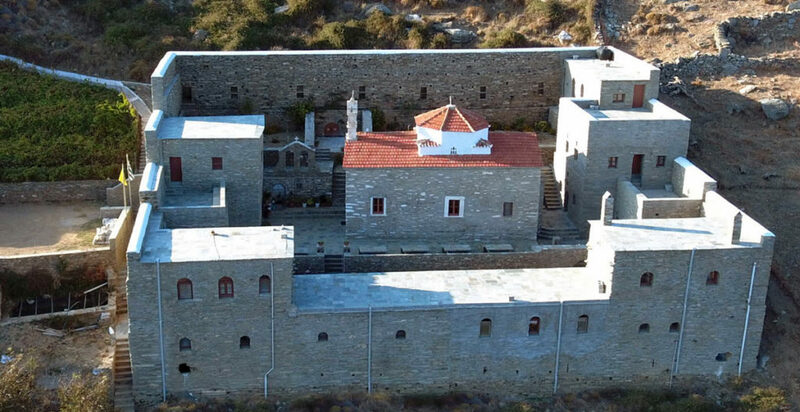 In 2006, the master Eleftherios Polemis purchased the 13-acre estate, which included the ruined monastery. 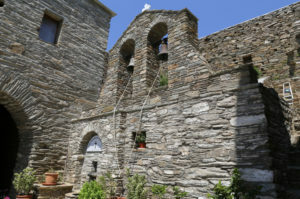 Over a period of 10 years, he and his family have restored the monastery’s buildings in full respect of their original structure and preserved the Temple. 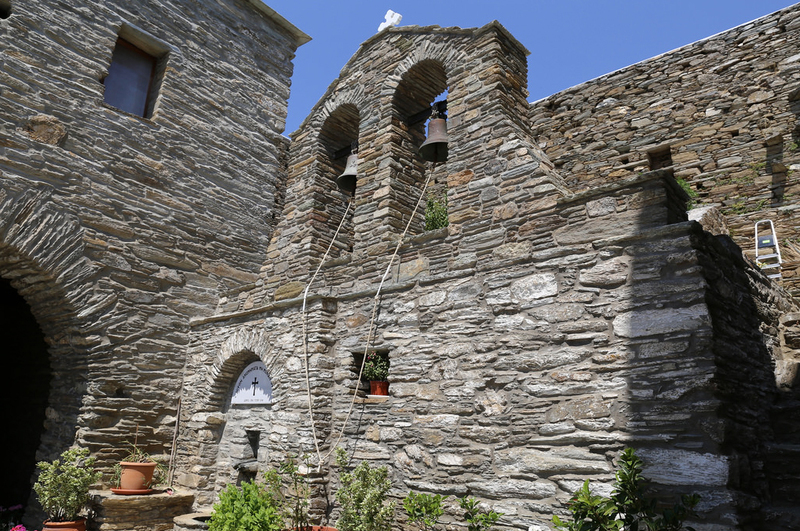 During your visit to the monastery, it is worth seeing the temple (basilica with dome) made of slate, with arches and crosses inside. Watch out for the dome, which is based on triangular hemispheres. You will see the floor with the bicephalous eagle and the marble iconostasis of 1806, which carries vegetal decoration. Immediately afterwards you will go to the museum collections. Finally, you will admire the magnificent view of Chora and the endless blue of the sea. The monastery can be visited daily, including Sundays and festivals, from 10:00 am to 5:00 pm.